Owners John and Lisa moved to New Smyrna Beach in 2010 after years of vacationing in the quaint beach town. 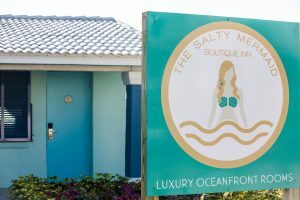 The two have owned and operated businesses in the hospitality industry from Ohio to South Florida and decided that their new home would be the perfect location to continue their legacy, showcase their love for New Smyrna and start open the doors to the Salty Mermaid. By creating a modern inn that incorporates the charm of New Smyrna with the amenities of a high end bed and breakfast, the two have made sure no detail was left un-turned in creating your perfect getaway. The staff being mostly locals have the insider scoop on the best places to eat, shop, and explore! Anything you could possibly need has been thought of and recommendations from the locals are always the best ones.